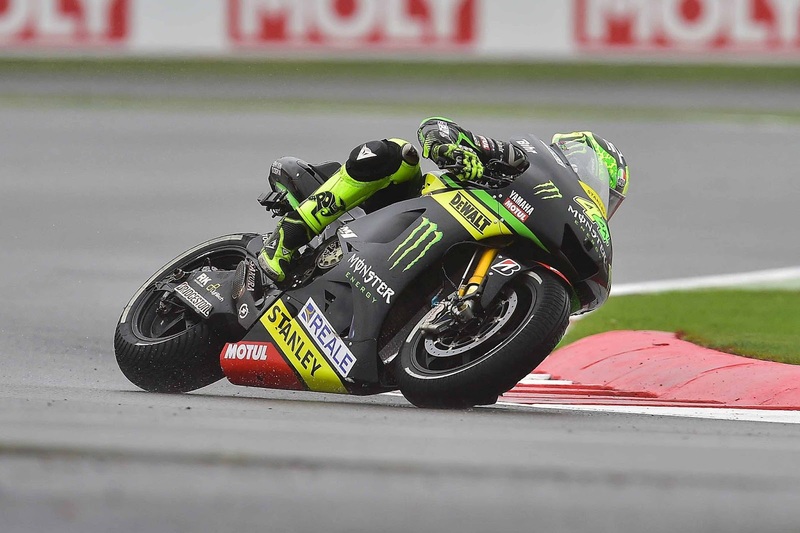 Monster Yamaha Tech3’s Pol Espargaro currently lies 9th in the MotoGP World Championship standings with 81 points to his name, two points behind the man in front and crucially, 34 points behind his team mate Bradley Smith who’s in 6th. 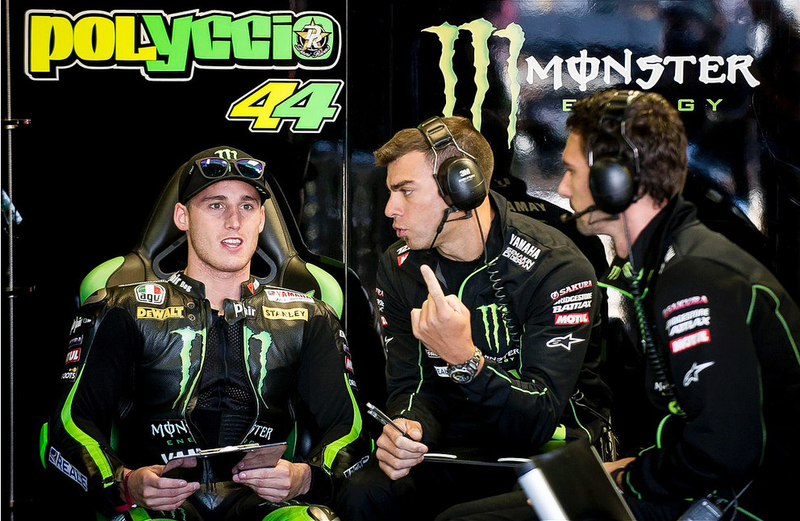 It’s safe to say it hasn’t been the ideal second year in the premier class for Espargaro. Having finished 6th overall in his debut year, many were anticipating the Yamaha factory contracted former Moto2 World Champion to be top Satellite rider this year, or at least sit far closer in the standings to being the top dog of non-factory riders. Was it important for you to re-sign with Yamaha and Tech3 early on this season? Yes, when you sign again you become more relaxed, you are riding a bike and you are always trying to do your best but always there is something in mind that is making rounds in your mind and tyo be really fast you need to have everything clear. But this is the job of the manager, the manager need to solve all the problems and all the contract problems without the rider think about it and finally we did so we are happy. It was pretty close before Suzuka but also Suzuka helps a bit as I feel fast again, this year I’m having problems and sometimes you feel not great with yourself and you think that I am forgetting to ride a bike but this race gives me some wings, some extra power and it was so nice to show what I can do when I feel good and I feel comfrotablty with the bike and I feel it was really fun, we had no holidays but actually it was worth it and it was like a holiday. Did yours and Bradley’s relationship improve in Suzuka? It improve so much in Suzuka, he’s a very different type of racer, I never race like this I always try to play some different sports that are in groups but for me it takes time to understand that you need to just chill with your team-mate but normally when you are on a bike you are alone but I try to relax when I was not on the bike, just try to help my team-mate but it was really difficult and a different experience but it was beautiful to play as a real team. Have you got a plan for the rest of the season? It’s clear, to try to improve and to try to be the Pol I was last year, try to be again in the position we had last year, maybe its difficult to improve the problem we had last year but just try to adapt these problems and just try to make some different solutions that are a little bit faster, but my target is not to make a podium, its to feel better with the bike. What can you tell us about changing to Michelin for 2016? We cannot speak a lot about it, my feelings were so good with it so we have to test more but it was raining, in Malaysia it was so hot and in Brno it was rainng. We did not test much more because the official riders had to test so we don’t have much info and in Aragon we have more time to test so I’m happy but we have to test much more. How do you feel about Aleix going so well on the Suzuki this year? Finally it’s good to see him not only do good results but to see him happy. Last year and two years ago he was so happy with the team and especially he was so happy with Aspar, the team was so good but he tried to set some higher targets and by the end his bike and his moment was not the best one. I was looking at him and he was suffering so much and with the team, they had no money for this and for that, and to not have the good results. And finally now he feels good, he is with a good team and the team have a lot of money to buy a lot of pieces and he explains to me a lot of things that he feels really good and I am happy to see him happy because I am his brother. How are you feeling about the British GP this weekend? Yes I like so much Silverstone. I remember in 2012 I was fighting with Marquez and this was my first race I won in Moto2 and after this race I was going up in the championship and I was going second in the championship and with the battle with Marquez. From there I was going up and the year after I had some problems with Scott, he was so fast this year and I was so slow. It’s a track that I like, it’s a funny track. With MotoGP it’s not easy but it’s quite fast, it’s nice, I hope the weather will be okay, we will see. To see what happened to Pol and the rest of the MotoGP lineup, read our report here. Previous Previous post: PaddockChatter gets the ‘#MotoGPBuzz’ at the British GP, in pictures.